The unique physiology of the aging cardiovascular system has negative impacts on quality of life. Pathological developments refer essentially to the aging of cardiomyocytes, chronic heart failure, and complex coronary risk factors, particularly arterial hypertension and high resting heart rate. Especially in older patients, cardiovascular diseases with multiple comorbidities are likely to cause further problems, including unstable self-reliance, anxiety and depressive traits, loss of physical fitness, social isolation, and polypharmacy. Older people with illnesses such as coronary heart disease, arthritis, and chronic lung disease show both increased levels of depressed mood and impaired hedonic well-being, conditions that also affect the will to live. With regard to cardiac patients, Hanser stresses that "the multifaceted nature of musical responsiveness contributes to strong individual variability. "1 Contrasting Hanser's position, the author's investigation of subcortical functions reveals relatively invariant physiological modes of music processing.2 Taking both aspects into account, this article will suggest a complementary and holistic understanding of music therapeutic mechanisms in cardiac patients. The number of unreported cases of cardiac patients applying music as a self-healing tool is probably high. Informal inquiries in Austria by the Austrian Heart Association among older heart patients point to a wide spectrum of purposes for music consumption including relaxation, stress care, joyful daydreaming, repression of loneliness, alleviating sleepless nights, active life motivation, psychosomatic rebalancing, lowering high blood pressure, and control of high heart rates. The AHA Statistical Update 2015 states that "the total number of inpatient cardiovascular operations and procedures increased 28% between 2000 and 2010, from 5,939,000 to 7,588,000. "7 The authors note that "the current evidence supports a range of complementary strategies to improve cardiovascular health," including approaches that focus on individuals, health care systems, and populations. In this context music therapy can be regarded as an efficient complementary intervention; its benefits in older heart patients with polypharmacy and/or risks of psychiatric comorbidities should be emphasized. • Depression and heart disease seem to form a mutually reinforcing cycle that suggests a causal relationship between both pathological conditions.8 Throughout the history of nonmedical forms of clinical treatment, depression has been regarded as a major indication for music therapy. • Drug-drug interaction risks in cardiac patients with late-life depression call for complementary medical interventions. • According to various national reports, the prevalence of mental disorders is relatively high in economically advanced countries. Anxieties and depression represent a serious quantitative problem. Auditory stimulation in general2 and music in particular10 can trigger regulatory mechanisms of the cardiovascular system. This phenomenon is believed to play a role in future long-term cardiac rehabilitation. Intersections of cardiovascular secondary prevention and cardiac rehabilitation play an important role.11 While pharmaceutical treatment typically increases or decreases levels of physiological parameters, music-related interventions seem to work in accordance with complex regulatory principles. Various cardiovascular diseases tend to entail psychological problems such as depression, anxiety disorders, personality disorders, or interaction with depersonalisation syndromes. Likewise, unfavorable psychosocial determinants increase cardiovascular risks. Particularly depressive disorders are intertwined with pathogenic cardiac processes.12 Since Ruth Bright's 1972 book Music in Geriatric Care gave way to the development of a new discipline, music therapy has proven to be a "mild" and relatively safe way of holistic and hence also psychotherapeutic treatment in older individuals. Regarding the heterogeneous field of studies in cardiac music therapy, crucial contradictions become evident. While some investigations deny any influence of music on heart rate and heart rate variability, others highlight a distinct correlation.16 Desiderata for elucidative scientific models of mechanisms underlying the causal connection between musical stimuli and cardiac responses have often been emphasized. This article presents a novel dualistic model referring to cortical and subcortical music processing that helps to explain conflicting arguments and to shape patient-centered musical therapeutic interventions. Subcortical auditory units such as the cochlear nuclei, the inferior colliculi (IC), and the medial geniculate body (MGB) process and modulate the auditory information. Efferent projections from the IC and the MGB play crucial roles for physiological responses to music.2 These mechanisms are located below higher cerebral functions, hence they are not directly involved in cognitive and aesthetic music processing. Top-down processes from the cortex to subcortical structures, including the bilateral IC and MGB, modulate regulatory circuitries of neural sound processing. Therefore, they enable higher functional units to reorganize the psychologically "neutral" raw material of the sound. These top-down processes are based on physiological retro-loops.17 Descending projections from the auditory cortex to the IC are of decisive importance. These top-down retro-loops as well as recently found collateral projections within the auditory pathway are decisive for complex cerebral sound processing.18 As these processes are sensitive to neurodegenerative disorders, neurological comorbidities may influence somatic responses to music in older patients. The auditory cortex is a complex system transforming music-encoding neural patterns into auditory sensation, which forms the basis of an individual musical experience. Functional units specializing in cognitive and emotional sound processing generate the individual features of musical awareness. Auditory sensation is associated with personality, biographic memory, socio-communicative interpretation, and vegetative processes. Complex interplays between information processing and systemic networking are decisive for regulatory medical functions and therefore decisive for cardiac music therapy. Outcomes of neocortical music processing are forwarded to a multitude of central nervous and neuroendocrinological functional units that are involved in the modulation of physiological responses. Though physiological research on the auditory pathway is highly advanced, two qualitative transformations keep on posing crucial philosophical questions. Based on the sound wave's mechanical information, the organ of Corti creates neural patterns. After complex processing, these are delivered to the primary auditory cortex, which generates the sensory awareness of sound. The corresponding physical, electrochemical, and mental modes of encoding music, however, are of a completely different nature. With regard to interdisciplinary and philosophical information theory, these metamorphoses raise various queries of music's therapeutic relevance. The nature of these qualitative transformations remains poorly understood. A performing musician does not play music but produces only sound waves. Music is a psychological phenomenon that is generated by the listener's brain. Hence, we have to understand sound waves and related neural patterns as music-encoding auditory information that is gradually processed by subcortical and cortical structures. Individually balanced physiological and psychological mechanisms decide the patient's musical experience and physiological responses. Dynamic sound information such as volume and accents seems to be already subcortically organized; aesthetic information depends decisively on cortical mechanisms. According to one's acculturation, biographical conditioning, individual musical mind, and neurological functioning, music therapy yields different results. The amygdala projects data to the hypothalamus and acts accordingly as an important link to the neuroendocrine system. These processes ultimately influence the main cardiac brain stem units such as the solitary and ambiguous nuclei. Recent investigations highlight connections between activities of the nucleus accumbens and music-evoked emotions.20 Subjectively pleasant music is able to exert cardio-protective influences; links between the entire auditory system, the neuroendocrine cardiac complex, and the nucleus accumbens may be assumed. Intersections between natural features of aging and pathological developments such as central nervous degenerative processes or the correlation between age-related hearing loss and blood pressure represent a core issue in gerontology and geriatrics. The more pathological phenomena harm a patient's biographical identity and self-concept, the more therapeutic activities require empathy, sensitivity, and holistic understanding. Very specific music therapeutic skills, such as how to control heart rates in patients with dementia,21 have to be harmonized with a therapist's comprehensive awareness of a patient's individuality. • Music in a meaningful biographical context can include coping strategies for traumatic life experiences. Music may support the biographical memory and facilitate the integration of the past and the present for a harmonious self-identity and self-awareness. • Music can maintain an individual's creativity and aesthetic pleasure as well as social contact and inclusion. • Music offers a therapeutic means to prevent psychological disorders and irritations due to pathological conditions, a natural loss of energy, and possible mental decline. • Music can create an atmosphere of feeling secure and safe. The sounding space may perfectly tally with a patient's altered mental energies and slower biorhythms. In contrast to many other therapeutic means, music therapy tends to create multifunctional effects. These have to be understood in a wider context and call for interdisciplinary care of older cardiac patients. Cardiogeriatric music therapy must take into account both physiological and pathological conditions of aging. These include declines in the auditory system, intersections between aging and cardiovascular diseases, and neurocognitive changes in older individuals. With regard to the interplay between neuropsychological and neurocardiological processes, complex medical treatment plans must consider the multifaceted and interactive features of music therapy. While the application of music-related means to regulate cardiac processes is relatively simple, a holistic control of music therapeutic effects requires special skills. Individually tailored music interventions provide multifaceted benefits to older cardiovascular patients. Self-application facilitates increased self-efficacy and better quality of life. — Wolfgang Mastnak, of Munich, Germany, is president of the Austrian Heart Association, a professor and chair at the University of Music and Performing Arts Munich, and a professor of music therapy at the Shanghai Conservatory of Music. His research focuses on music therapy, neuropsychology, long-term cardiac rehabilitation, polymorbidity in older patients, cross-cultural medicine, and theory of science. 1. Hanser SB. Music therapy in cardiac health care: current issues in research. Cardiol Rev. 2014;22(1):37-42. 2. Mastnak W. Auditory stimulation and cardiac regulation: underlying cerebral mechanisms. Dtsch Med Wochenschr. 2014;139(51-52):2626-2630. 3. Suzuki AI. The effects of music therapy on mood and congruent memory of elderly adults with depressive symptoms. Music Ther Perspect. 1998;16(2):75-80. 4. MacDonald RA. Music, health, and well-being: a review. Int J Qual Stud Health Well-being. 2013;8:20635. 5. Price KA, Tinker AM. Creativity in later life. Maturitas. 2014;78(4):281-286. 6. Bernardi L, Porta C, Casucci G, et al. Dynamic interactions between musical, cardiovascular, and cerebral rhythms in humans. Circulation. 2009;119(25):3171-3180. 7. Mozaffarian D, Benjamin EJ, Go AS, et al. AHA statistical update. Executive summary: heart disease and stroke statistics — 2015 update. Circulation. 2015;131(4):434-441. 8. Hare DL, Toukhsati SR, Johansson P, Jaarsma T. Depression and cardiovascular disease: a clinical review. Eur Heart J. 2014;35(21):1365-1372. 9. Bradt J, Dileo C, Potvin N. Music for stress and anxiety reduction in coronary heart disease patients. Cochrane Database Syst Rev. 2013;12:CD006577. 10. da Silva SA, Guida HL, dos Santos Antonio AM, et al. Acute auditory stimulation with different styles of music influences cardiac autonomic regulation in men. Int Cardiovasc Res J. 2014;8(3):105-110. 11. Woodruffe S, Neubeck L, Clark RA, et al. Australian Cardiovascular Health and Rehabilitation Association (ACRA) Core components of cardiovascular disease secondary prevention and cardiac rehabilitation 2014. Heart Lung Circ. 2015;24(5):430-441. 12. Fiedorowicz JG. 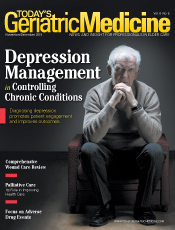 Depression and cardiovascular disease: an update on how course of illness may influence risk. Curr Psychiatry Rep. 2014;16(10):492. 13. Loomba RS, Arora R. Shah PH, Chandrasekar S, Molnar J, Effects of music on systolic blood pressure, diastolic blood pressure, and heart rate: a meta analysis. Indian Heart J. 2012;64(3):309-313. 14. Tang HY, Harms V, Speck SM, Vezeau T, Jesurum JT. Effects of audio relaxation programs for blood pressure reduction in older adults. Eur J Cardiovasc Nurs. 2009;8(5):329-336. 15. Frank C. Musical rhythms as possible synchronizer of biological rhythms? [Original title: Musikrhythmen als möglicher Synchronisator für biologische Rhythmen?] In: Harrer G, ed. Grundlagen der Musiktherapie und Musikpsychologie. Stuttgart, Germany: Urban & Fischer, Mchn. ; 1982:85-104. 16. Valenti VE, Guida HL, Frizzo AC, Cardoso AC, Vanderlei LC, Abreu LC. Auditory stimulation and cardiac autonomic regulation. Clinics (Sao Paolo). 2012;67(8):955-958. 17. Markovitz CD, Tang TT, Lim HH. Tonotopic and localized pathways from primary auditory cortex to the central nucleus of the inferior colliculus. Front Neural Circuits. 2013;7:77. 18. Schofield BR, Mellott JG, Motts SD. Subcollicular projections to the auditory thalamus and collateral projections to the inferior colliculus. Front Neuroanat. 2014;8:70. 19. Rodgers KM, Benison AM, Klein A, Barth DS. Auditory, somatosensory, and multisensory insular cortex in the rat. Cereb Cortex. 2008;18(12):2941-2951. 20. Salimpoor VN, van den Bosch I, Kovacevic N, McIntosh AR, Dagher A, Zatorre RJ. Interactions between the nucleus accumbens and auditory cortices predict music reward value. Science. 2013;340(6129):216-219. 21. Raglio A, Oasi O, Gianotti M, et al. Effects of music therapy on psychological symptoms and heart rate variability in patients with dementia. A pilot study. Curr Aging Sci. 2010;3(3):242-246.